Joe Campanale is a sommelier, winemaker, and restaurateur. 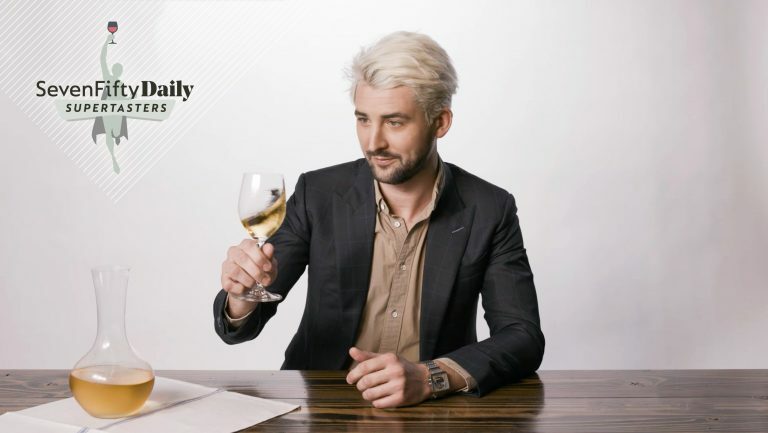 By 2010, before he even turned 30, he had opened three successful restaurants in Manhattan as part of the Epicurean Group—dell’anima, L’Artusi, and Anfora—all with a focus on Italian wine. He opened his most recent restaurant, Fausto (separate from the group), with his partner, chef Erin Shambura, in December 2017, his first restaurant in Brooklyn. Campanale is also the host of In the Drink, a wine-focused podcast on the Heritage Radio Network, and the coauthor of Downtown Italian, a recipe and drinks pairing book, with his former business partners Gabriel Thompson and Katherine Thompson. 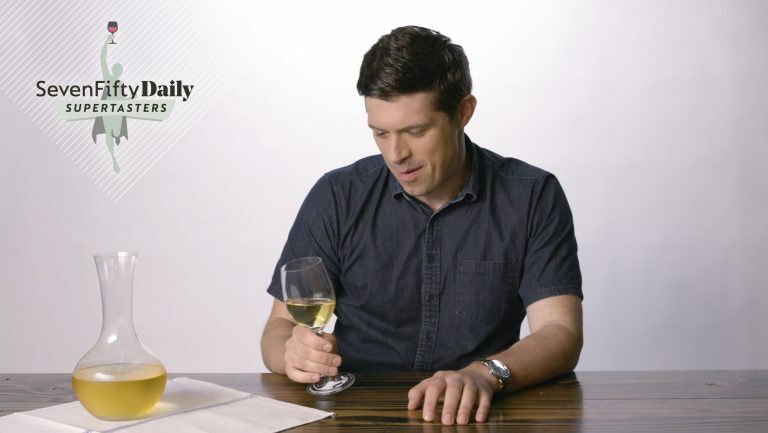 After shooting our Supertasters video with Campanale, SevenFifty Daily spoke with him about how he got his start in the wine world, the list at his latest restaurant, the wines he’s making under the Annona label, and his tips for tasting. 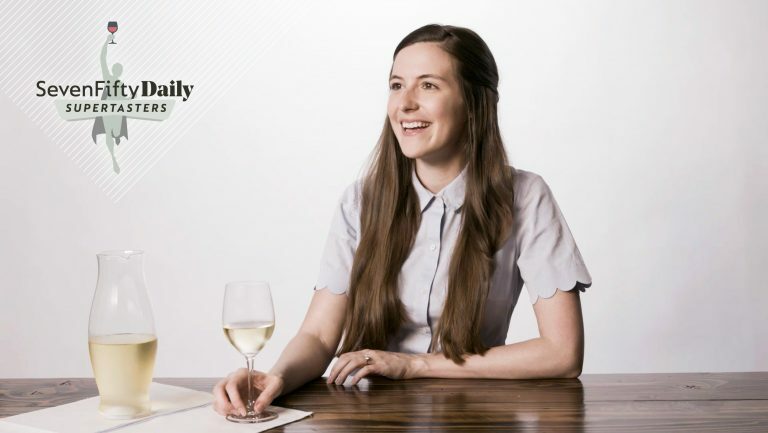 SevenFifty Daily: What was the epiphany that got you interested in wine—or made you want to become a sommelier? Joe Campanale: I fell in love with wine when I studied abroad in Florence during my sophomore year at NYU. 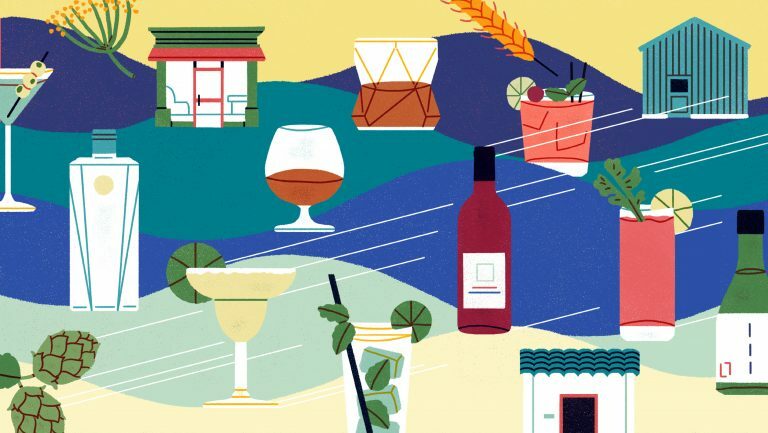 Before I left for Italy, I had taken a Beverages class with Linda Lawry, the former director of the International Wine Center in New York City. While studying abroad, I took a wine class with Ian D’Agata, focusing on Italian wines. Ian is a great teacher and makes learning about wine fun and exciting through his affable but informed teaching style. His class explored the 20 regions of Italy and focused on the country’s indigenous grapes and Italy’s viticultural diversity. While taking the class, I made a point to visit as many vineyards as I could—the first being Chianti Classico, just 45 minutes outside Florence. I’m a city kid, born and raised in Queens, so visiting vineyards and tasting wine right where it was grown was a fascinating experience. I had never met people who were so connected to the land that they were living on. The idea that the land provided these winemakers not only income, food, and drink but a link to their own history was truly eye opening. I also had a deep appreciation for the fact that I was drinking wines that were produced so close to where I was living, because at that time it was my first experience with truly local food and wine. When I got back from studying in Florence, I walked into Italian Wine Merchants, asked for a job—my first in the industry—and the rest is history. One of my favorite things about operating a restaurant is that every single day, my team and I are able to create memorable experiences for our guests. Whether they’re celebrating a birthday, anniversary, or just stopping in for a quiet dinner, I love that we can play a small part in so many of our guests’ lives. To me, there’s nothing better than when someone comes in after a tough day and they leave with a smile on their face. To know that something about their experience in the restaurant has improved their mood is something I find very gratifying. I also love that I’m able to employ close to 50 people and provide our employees with a safe and comfortable work environment in which to earn a living and grow professionally. 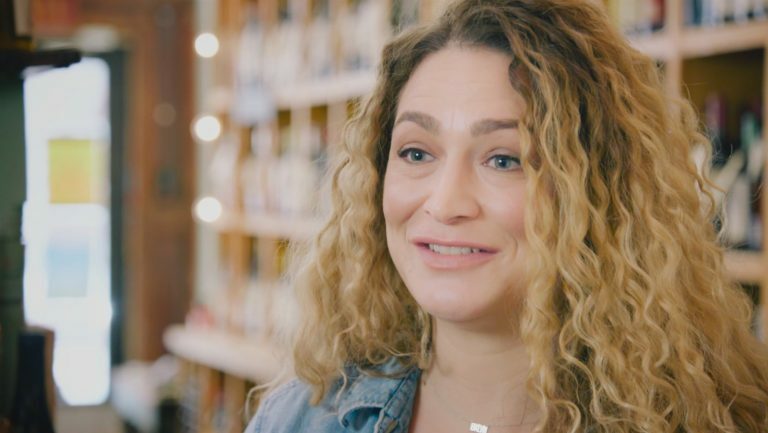 I’ve seen people who have worked for me go on to do great things, such as opening a cool wine bar in the East Village, taking over a respected wine retail store, and running a wine program for a new restaurant with a renowned chef. I’m honored to have played a small part in their professional growth. What go-to bottle of wine—or other drink—are you most likely to open on a night off? Right now, my go-to white wine is Ciro Picariello Fiano di Avellino 906. It’s light and refreshing, but it also has a lot of depth and complexity. Not many wines can accomplish both so well, especially at under $30 retail. As for red wine, my go-to is cru Beaujolais by producers like Foillard, Lapierre, and Clos de Roilette. I tend to find the same attributes that I love about Ciro Picariello Fiano in these wines. They’re wines that are so easily drinkable and provide so much joy but also reward you with their complexity if you pay attention to them. These wines don’t scream for your attention, but when you give it to them, you get more than just a tasty and reasonably priced bottle. You get a distinctive and terroir-specific treat that tells a story. If you had to guess, about how many wines would you say you’ve blind-tasted and formally evaluated for professional purposes? Early in my career, I did a significant amount of blind-tasting for various courses through organizations such as the Wine & Spirit Education Trust, Society of Wine Educators, Institute of Masters of Wine, and Court of Master Sommeliers. When I opened dell’anima in 2007, I didn’t have much time to take classes but continued a blind-tasting group with friends in the industry. I haven’t done much blind-tasting since then. I do taste—non-blindly—weekly with my sales reps in order to look out for new wines to add to the Fausto list. I taste once a week with four to five reps who each bring five to six wines, and I’ve been doing that consistently since 2007. With my reps alone, I’d estimate I’ve tried around 10,000 wines. If you add on what I’ve tasted during my formal wine education, I’d say that I’ve tasted somewhere in the vicinity of 15,000 to 20,000 wines. What was your most memorable blind tasting—good or bad? My most memorable blind tasting was when I visited Bruno De Conciliis in Campania for the first time, before launching my wine label, Annona. Bruno had been using a tiny amount of stem inclusion while fermenting his Donnaluna Aglianico—practically unheard of for that grape. I thought that this technique had significantly improved the quality of his wine by making it more aromatic and by softening the tannins. The result was a more delicate and perfumed wine. I suggested to him that we make a wine from Aglianico together with 100 percent stem inclusion, and Bruno thought I was crazy and assumed that I was only suggesting it because I love Burgundy so much—whole cluster, or stem inclusion, is a common practice there. To test my theory, Bruno blind-tasted me on 10 Aglianicos with varying amounts of stem inclusion. I tasted through the wines and said to him, “I’m not sure if this is the one that’s 100 percent stems, but whatever this one is, we need to make it!” It turned out that the wine I liked the most was the Aglianico made with 100 percent stems; later that wine became the inspiration for Annona Paestum Aglianico. How does blind tasting help wine professionals better understand wine? Blind tasting helps professionals approach wine without preconceived notions. It allows us to examine and judge the wine based only on what’s inside the glass, without bias. Though I think it’s a fun party trick and can be useful in some situations, I rarely blind-taste in my everyday life. I find that a wine can actually taste better when you know the story behind it, how it’s grown, and the people that make it. Overall, I’d rather support a smaller grower who practices organic viticulture even if the wine doesn’t perform as well in a blind tasting. Wines that thrive in that environment typically veer toward growers who play it safe and stick to their respective region’s norm. Do you apply any of the skills you’ve learned from blind tasting in your day-to-day work as a wine professional? My role requires me to fully understand the wines we sell. At Fausto, we focus our efforts on small-production wines—wines that are made by hand, and in some cases, those that are made organically and biodynamically. I’m not only interested in how the wine tastes in the glass but also how it is produced. 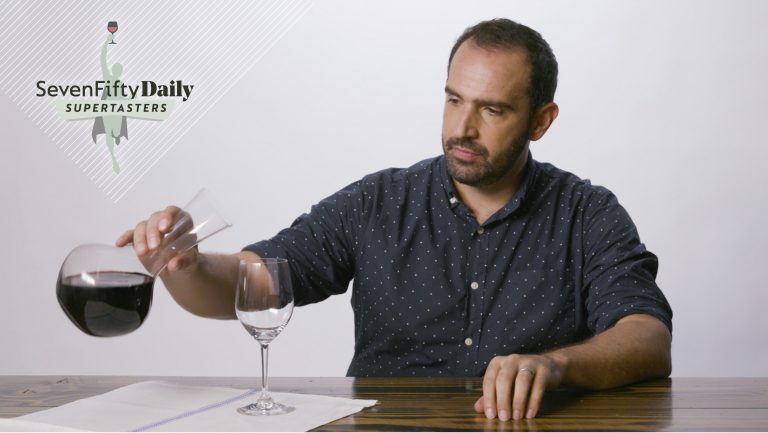 I’m always excited to blind-taste when asked, as I think it’s a fun exercise, but ultimately I view blind tasting more as a fun party trick than as something that is useful for me on a day-to-day basis. What’s your number one piece of advice for people who want to improve their blind-tasting skills? My best advice is to find a like-minded group of people who also want to improve their tasting skills. Finding a tasting group will allow you to taste more wines than if you try to go it alone, and you’ll learn tips and techniques from each other. Even if you’re not actively studying for any wine certifications, tasting groups tend to develop strong bonds. Since you spend so much time together (usually groups meet once or twice a week), the people in your group become part of your weekly routine and become folded into your day-to-day life. Whether it’s passing exams, getting new jobs, or just being able to observe one another’s progress, tasting groups often develop close friendships that extend beyond the group setting. What’s your most memorable wine experience? I’ve had so many amazing memories around bottles of wine, so it’s a really hard question to answer. One that comes to mind immediately, however, was a trip to Sonoma a few years back that I took with my girlfriend. We visited Arnot-Roberts in Healdsburg and tasted through the wines with Duncan Arnot. He was so generous with his time, and not surprisingly, we absolutely loved all of the wines. On the same trip we went to the classic San Francisco restaurant Zuni Café and drank Arnot-Roberts Trout Gulch Chardonnay with oysters and roast chicken sitting side by side. Ever since that trip, we have a tradition of making Zuni chicken and bread salad at home with Arnot-Roberts Chardonnay as often as we can. What was your inspiration for starting Fausto, what’s the concept, and how would you describe the wine list? We’re just coming up on Fausto’s one-year anniversary. My partner, Chef Erin Shambura, and I set out to create an elevated neighborhood Italian restaurant where the food and service are just as much of a focus as the beverage program. Erin makes all our pasta fresh in-house, and we use two wood-burning ovens for all our seasonal vegetables and proteins. I’ve been buying wine for NYC restaurants since 2007, and I’ve always had a thing for small-production wines that are made organically or biodynamically—wines that are made by hand and are illustrative of the places they come from. At Fausto, my—mostly Italian—list gives me the opportunity to highlight some of my favorite regions and producers, at a lower markup than I’ve offered at some of my other restaurants throughout the years. We also offer all our wines by the half bottle, which makes some wines more accessible to our guests and allows for some fun exploration. What can you tell us about your wine label, Annona? With Annona, I get to make wine in two regions of Italy where distinctive and unique wines are few and far between. The two regions that I focus on, Campania and Abruzzo, have unrealized potential for high-quality wines. With this project, I focus my attention on indigenous grapes, harvested by hand and fermented with ambient yeasts. I currently make four wines under the Annona label: two in Abruzzo’s Loreto Aprutino with winemaker Stefano Papetti Ceroni—a distinctive and terroir-specific Montepulciano and an earthy, complex Cerasuolo d’Abruzzo, both aged in concrete; and two in Campania with winemaker Bruno De Conciliis—100 percent whole-cluster Aglianico and a light and elegant Fiano-Falanghina blend. Our goal has been to produce clean and pure wines that are grown as naturally as possible. I work closely with my winemaking partners on every major winemaking decision, from the farming to the harvesting to the aging—and spend time in Italy fostering our relationships and tasting the wines as they develop.